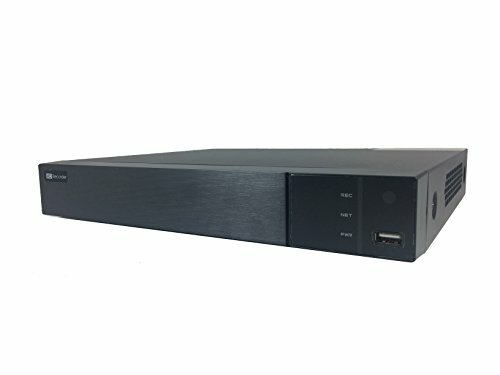 16-channel H.264 Video Compression Multiplex Operational Standalone DVR, supports TVI, AHD, and analog cameras. Storage Compatibility: 3.5-Inch SATA HDD x 2, max 6TB of each, total 12 TB. 1x RS485. 4 x Audio Input / 1 x output. Compatible with Internet Explorer, Firefox, and Mac OSX / Safari. Powerful configuration capability over internet or on console. Live viewing / playback / 1-window zoom in on smart phones or tablets via free app. Firmware upgradable. 12-month product warranty, 36-month labor warranty, and life-time technical support.